chart of Arctic ice composition on 10/11/15 from Arctic News blogspot. That tiny dot may be a large methane vent, indicating that the methane below is no longer anchored by clathrates and is thus unstable. In October 2015, an area appeared in the Arctic sea ice where the temperature of the ice was a few degrees Celsius higher and where ice concentration and salinity levels were substantially lower than the surrounding ice. The image below pictures the situation on October 11, 2015. In English–something blew a big hole in the middle of the ice at the top of the world and whatever it was is warmer than surrounding areas. The science is explained in the article. You should read it–it’s right here. Remember that October 3 was called as the drop-dead date for preventing runaway climate warming, and the data shows that all of the mayhem described began a few days later. By the way, the people at the Arctic News Blogspot have a plan to save us from runaway warming–I don’t know if it will work, but they’ve done the science. And they aren’t in a pandering mood–they aren’t climate denying troglodytes of the Republican flavor, nor are they the feel-good Democrats, who are assuring people against all evidence that fixing the world’s climate system is eazy-peazy. The Arctic News plan doesn’t leave you driving your e-car to the Walmart to pick up your green light-bulbs. On the other plan, the feel-goods are marching us straight off the cliff into e-word territory. So read what needs to be changed and do something. Funny thing–last weekend I participated in an outdoor theater piece put together by activist playwright Monica Hunken and Friends. 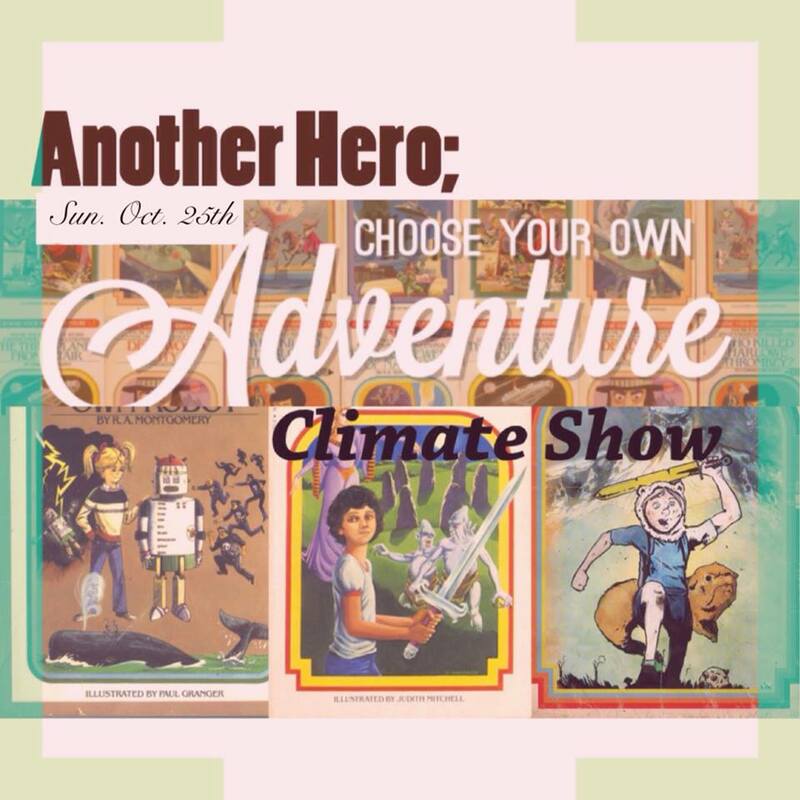 It’s called Another Hero; A Choose Your Own Future Climate show. The event is passed now (here’s the Brown Paper Bags ticket Link), but for the right amount of money, she’d probably get everybody together and do it again. 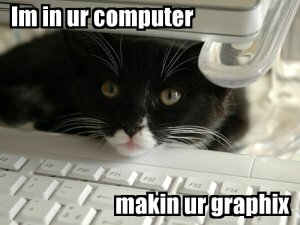 Or you can wander off and look at kitty pictures. your call.